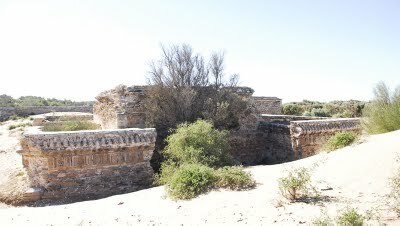 On the south side of the river Oued Ksob near Diabat there are riuns of a fort called "Sidi Mohammed ben Abdallah" or mostly Dar Soltane,Dar Soultan or Dar Es-Sultan,Dar Assoltane,Masion Blanche. It is said it was a remarkable palace for its time. 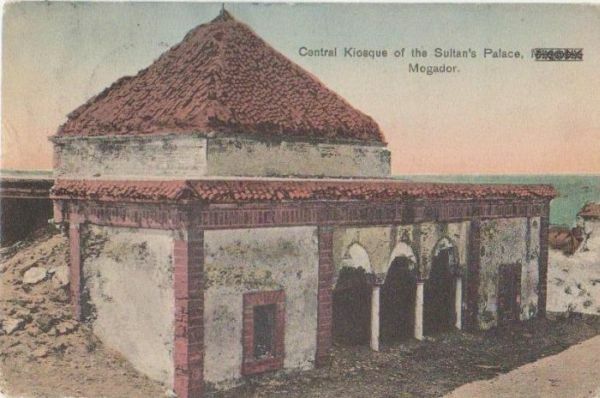 The fort "Sidi Mohammed ben Abdallah"
The white house or Dar Es-sultan was a beautiful palace once constructed by Hoban a rich negociator of the makhzen. 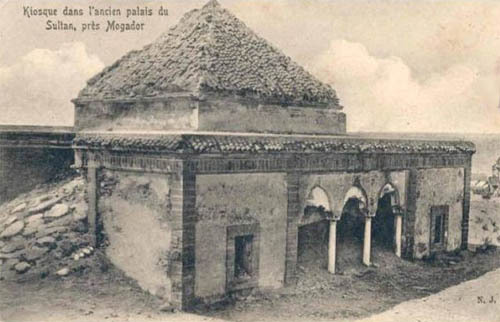 It was given to Sultan Sidi Mohammed Ben Abdallah before it became the residence of Moulay Abderrahmane, Khalifa of the king in Mogador. When he was king (1822 -1858) it served as residence for high dignitaires of the makhzen. This palace was fully furnished in European style and had glass windows, installed by Dutch craftsmen, and gilded mirrors. Dinitaires of jigh colours had marched through this building: ambassadors, consuls, as Barisien, Höst, men of science as Ali Bey el-Abassi, merchants and many others ... 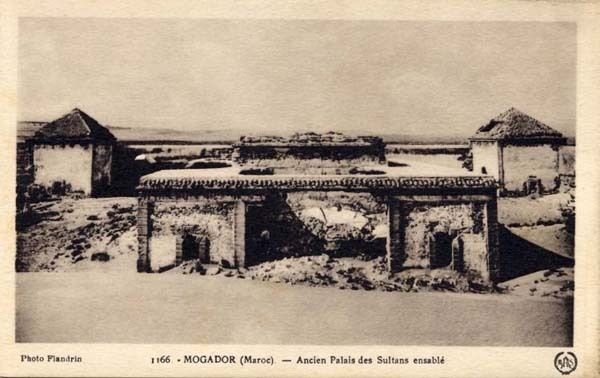 It later became the residence of King Moulay Abderrahmane, Khalifa of Mogador at the time. When the prince became king (1822-1858), the palace was the residence of passage for high dignitaries of the Makhzen. For many years the palace was under the protection of the inhabitants of Diabet but is was gradually attacked by vandals and sandstorms, and fell into oblivion.